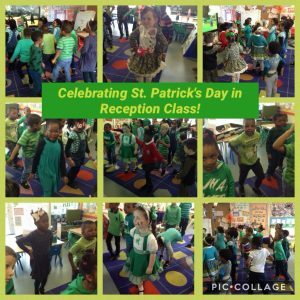 St Scholastica's Catholic Primary School | Reception Class celebrates St. Patrick’s Day! Reception Class celebrates St. Patrick’s Day! 22 Mar Reception Class celebrates St. Patrick’s Day! Miss Liz leads Reception class in Irish dancing.